at a Ruthmere Campus facility. Attractive indoor and outdoor locations with room for up to 200. 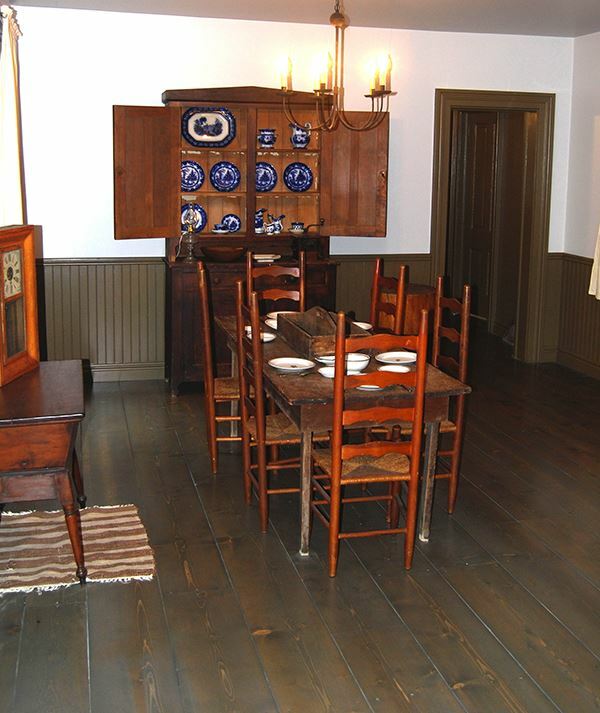 The Game Room is located on the lower level of Ruthmere Museum. 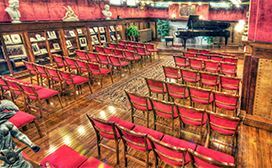 It is a one-of-a-kind setting for your dinner parties, anniversaries, recitals, wedding receptions, seminars or other special events. Seventy-five cushioned chairs and up to six eight-top tables are available for your use. 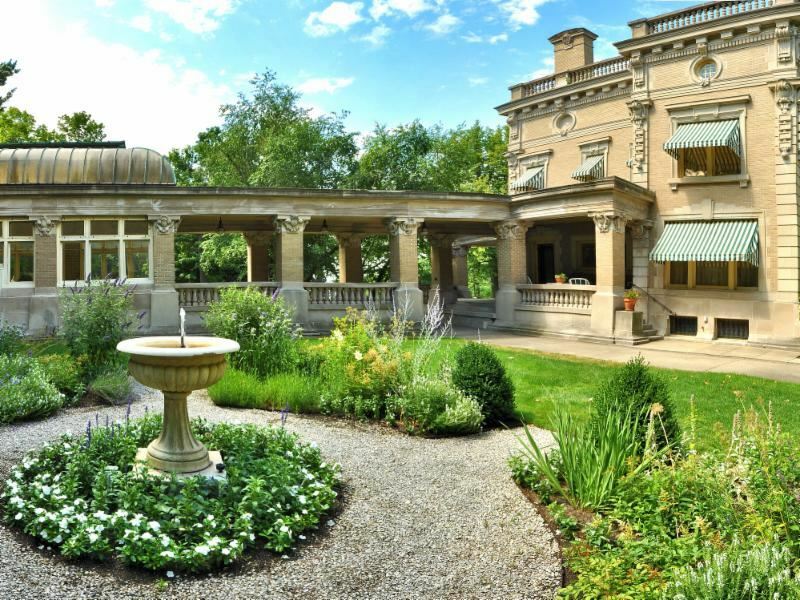 Ruthmere Gardens, Greenhouse and Piazza is a private courtyard containing a traditional French "blue and white" formal garden as the focal point that is offers the perfect setting for a summer reception or social event. 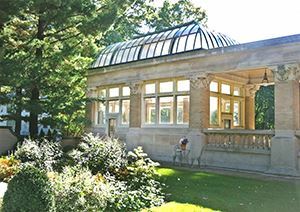 Included in the Gardens rental is access to the recently restored iconic greenhouse and a place to dodge raindrops under Ruthmere's covered piazza and loggia. 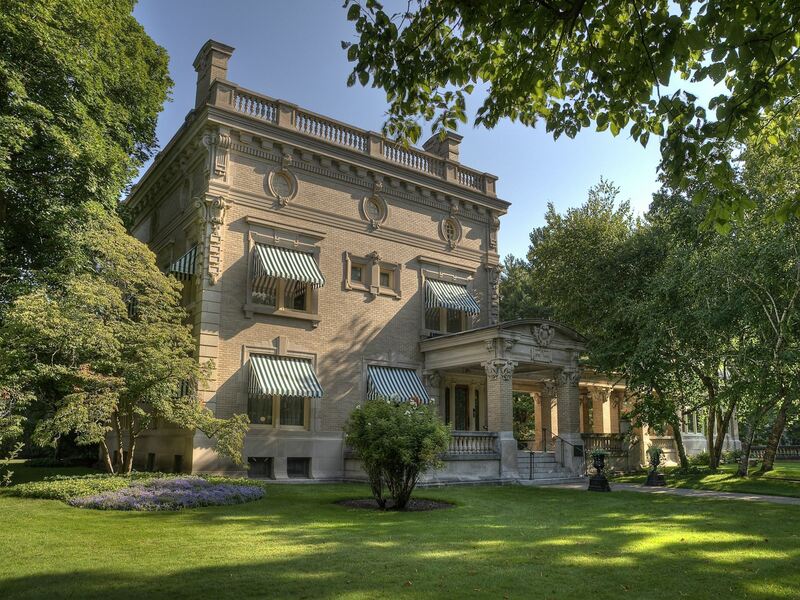 Havilah Beardsley House is available as a wonderful reception site for a private cocktail party or fundraiser event. 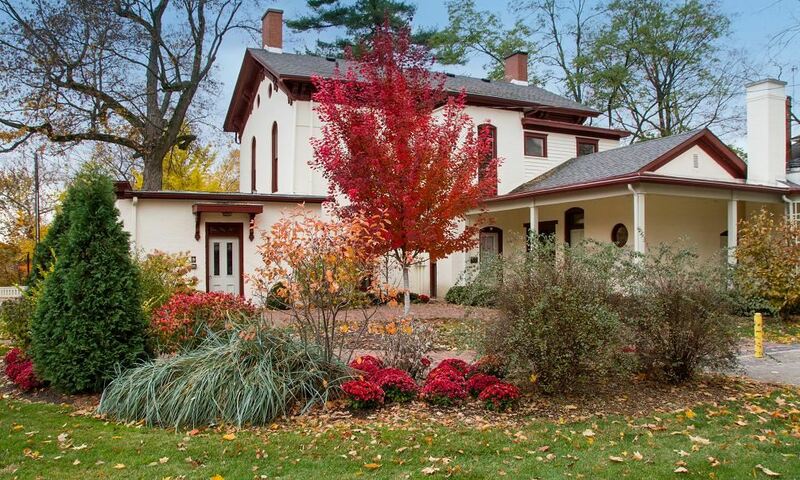 The history of Elkhart comes alive in the oldest brick residence in Elkhart. Events may be held indoors or outside in the Plaza Garden. Catering kitchen on site. ADA accessible except for second floor exhibits. 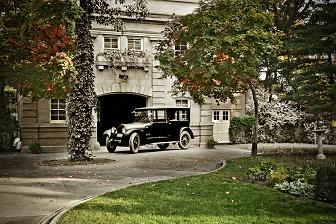 Ruthmere's Robert B. Beardsley Arts Reference Library is a wonderful location for your next social club meeting. 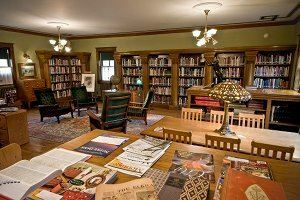 Adorned in the Arts and Crafts mission style, the Arts Reference Library offers and quiet and elegant setting for groups of up to 20 people. Located on second floor with stair access only, not ADA accessible. Library is available for rental only during daytime business hours. 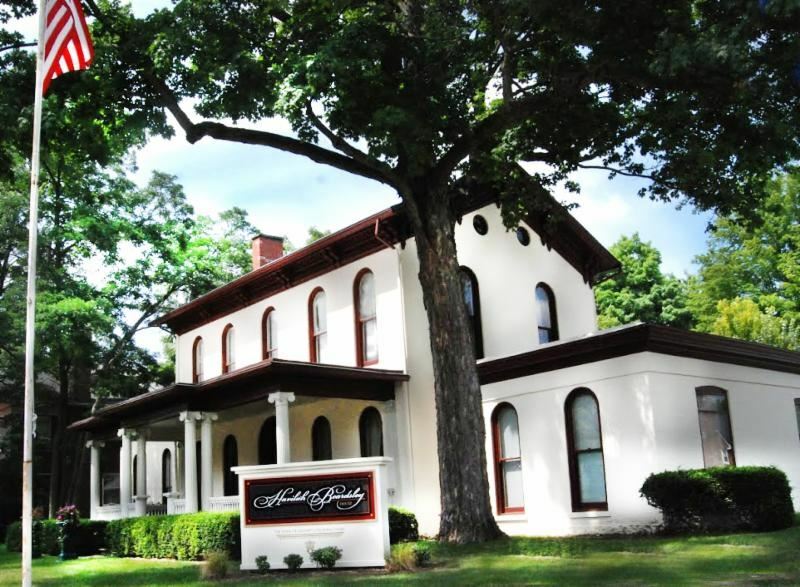 For information or reservations for renting Ruthmere Game Room or Gardens, Havilah Beardsley House or the Robert B. Beardsley Arts Reference Library contact Collections Manager/Wedding Coordinator Joy Olsen at 574-264-0330 ext. 103. 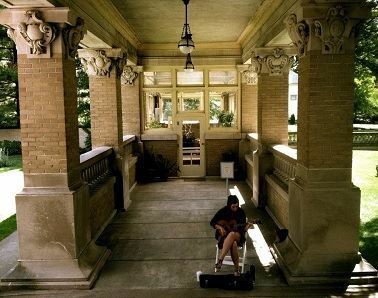 *All Ruthmere rentals include a Ruthmere membership, and a portion of the rental fee is applied to the historic preservation fund. Ruthmere Foundation, Inc is a federally recognized 501c(3) not for profit organization, the fees applied to these benefits may be tax deductible. For wedding bookings and rates, visit our Weddings at Ruthmere page.